First of all, may I just say isn’t this the most gorgeous cover art? I’m not certain who created them, but all three covers (four if you include the novella) in the Daughter of Smoke and Bone series are simply stunning. The world. The world that Taylor has created is wonderfully rich and detailed. I loved reading about the chimaera and seraphim. We learn more about their world in this book. The themes. The idea of star-crossed lovers is a timeless one. There is a reason that Romeo and Juliet is a classic, and Taylor has done a great job of interpreting that into modern fantasy. Add into this the theme of war and peace and you have a wonderful framework for a story. The characters. It is very easy to become invested in Karou and Akiva and root for them. They are likeable, engaging and you feel for their plight. The supporting characters are also great. Zuzana and Mik add some much-needed levity to the story. The writing style. Taylor’s writing style is poetic and lyrical and is beautiful to read. Go check it out. The audio narration. Once again, Khristine Hvam did a wonderful job – I particularly enjoyed her interpretation of Zuze and Mik. I really should check out the Zuzana/Mik short story Night of Cake and Puppets also narrated by Hvam. It has to be said, I didn’t enjoy Days of Blood and Starlight as much as Daughter of Smoke and Bone. I found it a little too… depressing. After the events of Daughter of Smoke and Bone neither of our protagonists are in a good place emotionally and when you add to that the escalation of the war between the chimaera and the seraphim it doesn’t make fun reading. Thank goodness for Zuze and Mik! Because of this, I gave Days of Blood and Starlight three and a half stars out of five. Miss Peregrine’s Home for Peculiar Children by Ransom Riggs tells the story of 16 year old Jacob Portman and his fascination for his grandfather’s stories of the Home for Peculiar Children in which he grew up. This institute is home to children who have special abilities and the novel explores what happens when Jacob goes looking for this place after a family tragedy. The concept. I understand the author, Ransom Riggs, has had for many years a hobby of collecting unusual – read creepy – photos and he developed the novel around a selection of them. Riggs has done an amazing job of connecting a set of unrelated photos and weaving a darned good narrative out of them. It should be noted, for those of you thinking of picking up the Audible audiobook, that a PDF is provided with the photos in the book. The characters. I liked Jacob, his grandfather and the other characters they meet, especially the Peculiars. The creep factor. Some of the photos are downright creepy and the Hollowgast with their tentacles for mouths – ew. These registered just a little too highly on my creeped out factor. The audio narration. I really did not enjoy the audio narration. Much of the book is set in my country of origin, the UK, and the narrator’s attempt at a British/Welsh accent was, to be kind, all over the place. This really threw me out of the story on multiple occasions. 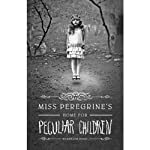 Although I will check out the sequel, Hollow City, at some point, I gave Miss Peregrine’s Home for Peculiar Children three and a half stars out of five. 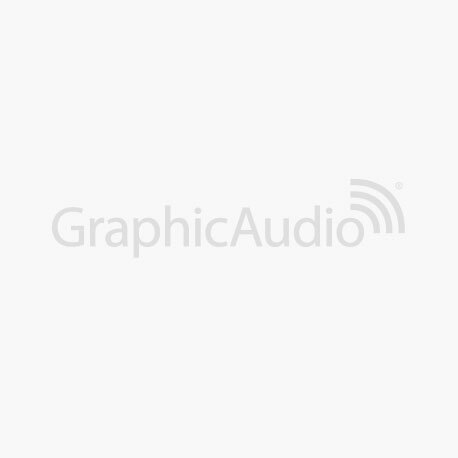 This week I dipped into the Graphic Audio production of Brent Weeks’ Way of Shadows. Graphic Audio’s tagline is “A Move in Your Mind” and I can see why they call it that. Their productions are enhanced audiobooks in that they include music, sound effects and a full voice cast. It should be noted that the text isn’t quite a faithful reproduction of the original as a normal audiobook; for example where the narrator would say “it was a dark and stormy night…” instead of the text you’d hear sound effects for thunder and lightning. Graphic Audio productions are also a little more expensive than audiobooks, especially if you use Audible credits. I can appreciate though that the production costs are likely higher. For me, personally, I found the sound effects and music almost too overwhelming. I’m a text purist and I like to hear the author’s words as written. Having said that, I did enjoy the Graphic Audio experience and will probably pick up the rest of the Night Angel series in this format. That’s all I have for today. Have a good week!